Can every day be summer vacation? I have had the best few days over the last several - I think I needed it. While our vacation at the beginning of June was wonderful, there is something to be said for having some time off to hang around home too. 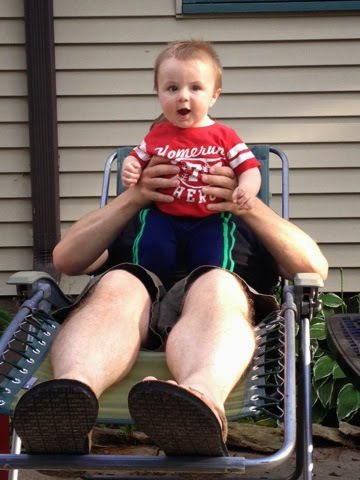 We've had some beautiful weather and I've been just soaking up the extra time with my baby boy! Wednesday we took Nate's cousin to Como Zoo with us while she was in town. We also had a little picnic outside and it was tons of fun. 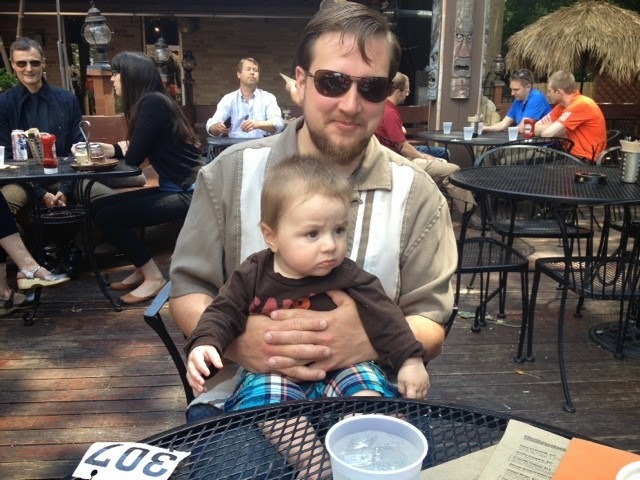 Thursday we had a pretty low key day, but we were able to meet up with Nate for lunch at one of our favorite outdoor patios, Psycho Suzi's on the Mississippi River. On the 4th of July we got up a little bit early and headed to a flea market about an hour west of the Cities. It's one of the biggest ones around and they were "extra big" for the holiday. It was a successful trip - Nate actually found a couple of old school NES games that he's been looking for and we purchased a couple of things for Oliver. After that we headed to my parents for a picnic with some friends who are like extended family, including Ollie's "uncle" and godfather and his parents who are my parents best friends and like second grandparents to Oliver. It was nice spending time with them, we haven't seen them much since about early May. Ollie mostly napped during that picnic but that was ok because we had another barbeque to go to with some friends in the evening, so he was well rested for that! We headed over to our friends house in the evening and sat in their backyard for a long time, Ollie loved scooting around their patio in his walker. He went to bed and we continued to hang out, had ourselves a little fire and met Oliver's new friend, baby Alexander who was born on June 30th - and ironically was the exact same size that Oliver was at birth! We also took advantage of a hot tub and boy did that feel good! We skipped fireworks, mostly because mommy and daddy were tired after a pretty full day! Saturday we slept in a bit and then got ourselves dressed and decided to go out for brunch and actually headed back to Psycho Suzi's because it was another beautiful day and they have great brunch food! After that, since Oliver fell asleep in the car, we decided to meander about looking for garage sales in the area. We found a few, but there was not much worth buying at any of them. We brought him home and he had a proper nap and then we got up and packed up again for a barbeque at another friend's house. We had a great time there as well, Ollie played on their patio as well and then went to bed and we played a fun game. We got him up to head home and on the way noticed some fireworks, so we pulled off the road to watch for a minute, so Oliver got to enjoy his first fireworks after all! They were over pretty fast though, so we think we caught the finale. Yesterday we decided to be very lazy and stay around home since we had been kind of go, go, go for a few days. 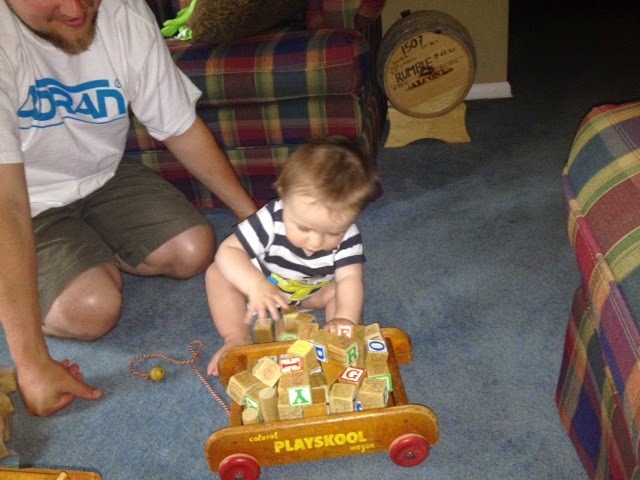 Oliver had some fun playing with his new blocks, we had a nice leisurely breakfast at home and since he woke up super happy from his second nap we decided to have dinner out. He was so well behaved at dinner! We got home just in time for bedtime and he went down pretty nice. Other big news of the weekend - we moved from green beans to zucchini and he seemed to really like that! AND the best news of all - we FINALLY have a tooth popping through! It's just coming up through the gum and I could not stop smiling when I saw that, all these weeks of off and on symptoms and he's finally got something to show for it. I won't be surprised to see a few more very soon. So there you have it. I'm still off of work today and after his nap we have a playdate with a friend. I'm not looking forward to returning to work tomorrow, but I'm trying to not dwell on that and instead am just enjoying another lazy summer day with my boy. Thank goodness I have more vacation time I can try and take before the summer is over! What a great weekend! I'm curious which flea market you went to, was it Medina? I have never been to Suzi's for brunch, but I want to check it out! Sounds like a great fun-filled weekend! I'm so glad that we were able to get together for a BBQ. We had so much fun with you guys! Yay that Ollie's tooth is finally popping through!! Hilarious photos, you guys! Thanks for encouragement and love! what a cutie!! congrats on the tooth! So exciting that his first tooth is coming in already! I'm glad you had such a good weekend! And can't believe Oliver is finally getting a tooth!